sailboat. : Books I'm Currently Reading.. Somehow I find myself part way several books at once, something I usually try to avoid but sometimes this is just the way things work out. I'm also kind of relishing the challenge that comes with reading several books at once, both for myself in terms of remembering where I'm up to and what's going on and also challenging the book itself. A strong and distinct narrative voice is important and the novels are certainly holding their own, which is always a good thing. I've read and reread this many times over the past week; in my head, along with recordings on spotify, and reading aloud myself as I make my morning cup of coffee. 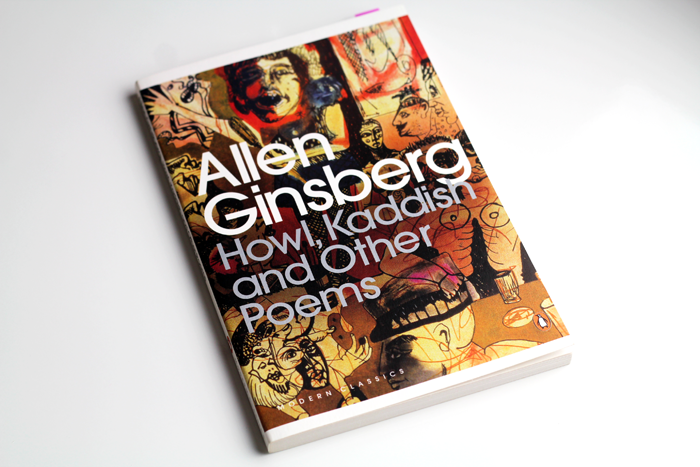 Ginsberg's poetry develops a whole new life when the recording also captures the audience's reaction. In particular there's a recording of 'America' where the audience goes crazy at every line, undoubtedly a touch of alcohol is helping them along, but it really illustrates the power of inclusive poetry and giving voice to those who had been suppressed for so long. At almost 600 pages this is one of the most comprehensive biographies I've ever picked up. 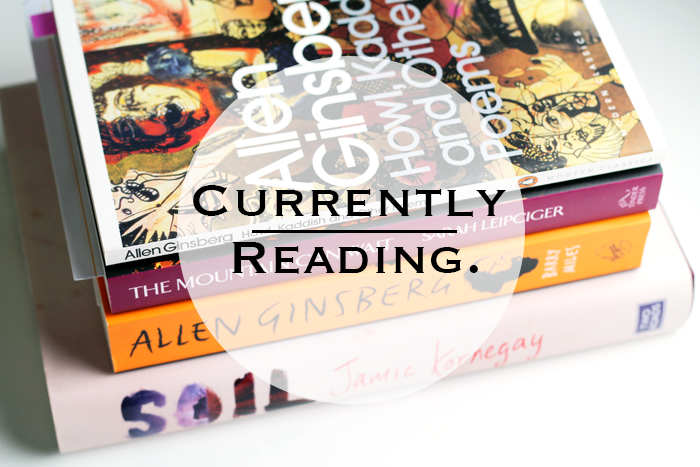 I'm making my way through it as a bit of background reading but also because Ginsberg fascinates me. 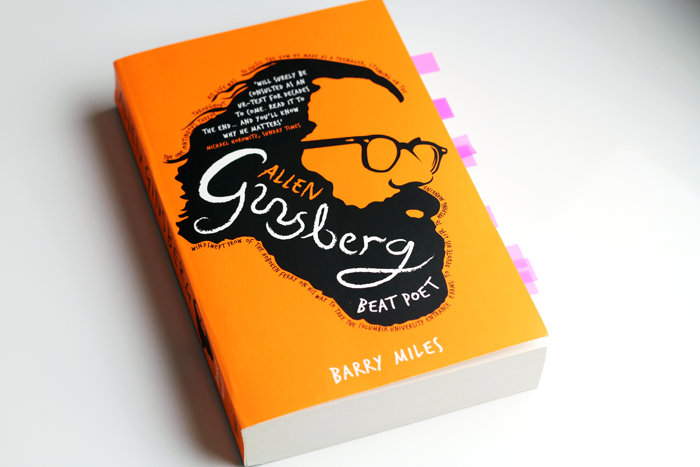 Chronicling his early life and the beginnings of the beat generation right through to his death, Miles draws both upon his lifelong friendship with Ginsberg and his journals and correspondence. I'm only around 60 pages in and I may have gone a little overboard with the page markers, but I'm finding it so interesting that if I'm not careful there's probably going to be a tab on every page! "An idealistic environmental scientist moves his wife and young son off the grid, to a stretch of river bottom farmland in the Mississippi hills, hoping to position himself at the forefront of an agricultural revolution. But within a year he is ruined. When a corpse appears on his property his is convinced he's being set up and this marks the beginning of a journey into paranoia. 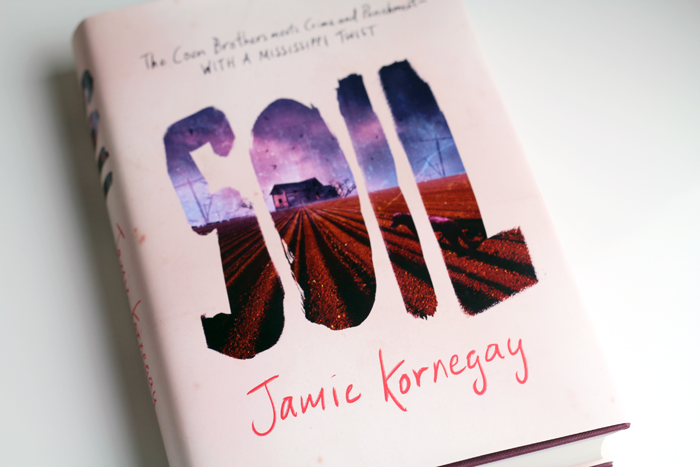 Hilarious and darkly disturbing Soil traces one man's apocalypse to its epic showdown in the Mississippi mudflats." I started reading this over the weekend but I had to put it down, not because I wasn't enjoying it, but because I felt it needed more of my attention than I was able to give it at the time. A unique premise and from the 40 or so pages I've read, the writing is incredibly engaging. I'm not exactly sure what to expect, which is intriguing but it makes it a tricky one to describe. Officially published tomorrow, but I've seen it around online already! "Tom has always been a loner, happy to live out his days in the Canadian wilderness with enough ammunition and kerosene to see out the winter. He's a single father and has raised his children with the same absolute dedication he consistently brings to his forestry business. When his son, Curtis, who is on the brink of adulthood, disappears after a tragic accident Tom discovers that his efforts might not have been enough and it falls on him to track him down. But whether Tom can truly reach Curtis is another question entirely." The backdrop of the Canadian wilderness gives this novel a really distinct atmosphere. It's a scarred landscape, which, I think, reflects in the characters too. They've had their struggles and they've been making their way through the best way they know how. And I guess that makes them incredibly believable. I'm about half way through at the moment and if I could have spared more time yesterday I'm almost certain I would have devoured the whole novel in a matter of hours. It's quite unsuspecting but I was completely sucked in and enveloped in these characters' lives. Combine that with a peppering of beautiful metaphors and there's the markings of a good novel. I can't wait to dive back in today, in fact I set my alarm for an hour earlier so I could add in some more reading time to my day. Who needs sleep when there are so many good books, right?! It's going to be published on May 7th (I'll talk about it again nearer the time!) and I think it's one to look out for. 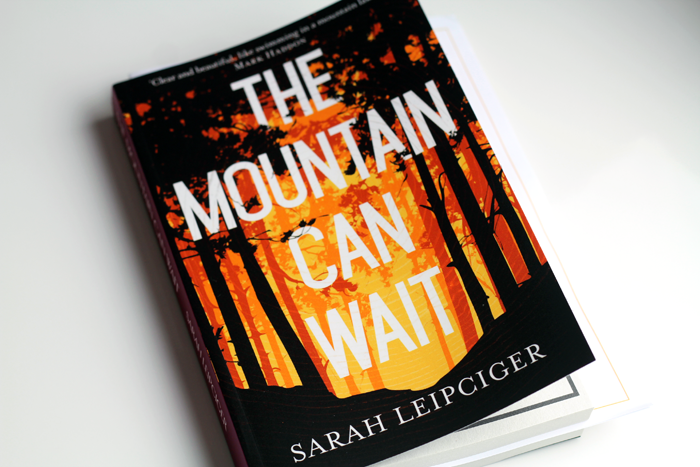 The Mountain Can Wait sounds like an amazing book! I'll have to make a note to look out for it when it's published. I haven't heard of any of these books but they all look amazing. I'm trying to read 21 books this year so I'll definitely have to put some of these on my to-read list. Love these posts, its so hard to find new reads sometimes. Love the sound of Soil, that one is going right on my wish list! Oooh Soil looks real good!